I would first like to thank Jim at Bethany House for sending me my copy of Love's Pursuit by Siri Mitchell. This is the first novel I've read by this author. I'd heard wonderful things about her writing and was very excited to read this book. Let me start off by stating that this book is NOT an easy read by any stretch of the imagination. To be honest, I wasn't sure if I was going to be able to read the entire thing. Love's Pursuit is an intensely emotional story. The oppresiveness that the people live in as Puritans is beyond my understanding. I thought Amish society was rigid. Their lives are a day in the park after reading this novel. We meet Susannah Phillips, a young Puritan woman who is waiting for John Prescotte to ask her father for her hand in marriage. She is also perceived as the good daughter in the Phillips family. Her sister Mary seems to live in Susannah's shadow her whole life and is somewhat of a mischief maker. As we're reading the first chapter, Siri switches over to someone else describing their experience and we learn it is Small-hope. Siri goes back and forth between Susannah's story and Small-hope's. It took me a minute to realize what was going on, and there were no problems going back and forth between the two. I'd have to say that I was 1/2 way through the book before I was able to get past all the depressing undertones of the story. There seems to be little laughter at all. No one seems to enjoy anything that God has put around them. Everything seems to be a chore and nothing is enjoyable about daily living. Men and women live their lives doing, doing, doing and hope that it's all enough. The women seem to have little care about what is going on with anyone else, unless it's gossip. As long as their homes are running properly and with exact precision then all is well with the world. It's a weight I could never have lived under. Let's discuss the men in this story!! First of all there's John Prescotte, Susannah's hopeful beau. He seems to like her, but we aren't quite sure if he'll take the next step. As for the villian in this story, he is so easy to dislike. Simeon Wright, what a horrible and dispicable character. Siri did a great job in his role! And last, but not at all the least, is our hero, Captain Daniel Holcombe. He has been sent by the Governor, his cousin, to protect the people from savages. Daniel sees how these people live their lives and tries to share with the Phillips about God's grace. They in turn want to show him that living their way is the only way to salvation. Daniel has made himself Susannah's protector and as she begins to see into his heart she starts to question the life that is being set before her. There are so many twists and turns to this story that make it all a whole, I don't want to give a single piece away. If you are able to get past the heaviness of heart in the first several chapters you will come away with a sense of rightness to the story. I am so glad I finished Siri's novel and I will seek out her other ones. If you'd like to learn more about Love's Pursuit you can find it at the Bethany House website. There you'd be able to find an excerpt, reading guide, and Q&A. Click on the title to learn more. You can also find Siri at her website http://www.sirimitchell.com/ . If you'd like to purchase her book, type the name into the Chrisianbook.com box on the right side of my blog. 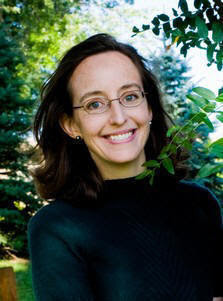 I've heard alot about Siri Mitchell's work, but haven't read anything of hers either. Great review, without giving anything away! I'd love a chance to win a copy. Hi...I enjoyed your review of Siri's book, and would love to have my name added to the giveaway for it. It sounds very interesting and the cover is lovely. I also enjoy your blog. Thank you! Sherrinda and Sandy, thanks for entering and visiting my blog. I love the cover of Siri's book. It's like a piece of art. I haven't read anything by Siri yet, but would love to read this one thanks to your honest review, which I greatly appreciate. I also like the way you thanked the publisher for sending you the book to review. Thanks so much for the chance to win a copy. 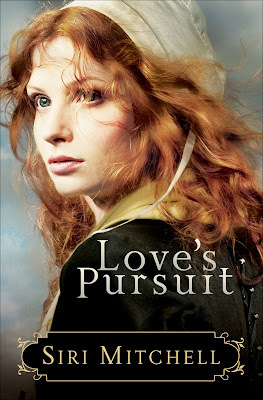 Love's Pursuit sounds wonderful.Please enter me in the giveaway.augustlily06(at)aim(dot)com.Thank you. Her books are always page turners, for their unique content! I would love to win! I think you did a great job on your blog! Found you through TCBOTB. I noticed on your message there that you didn't have a link to your blog (at least I didn't see it?). You may want to add that so people can find you! I look forward to looking around! I have yet to read anything by this author. Please include me in the drawing. I have not read anything by this author yet and would love to. Please enter me in the drawing. Please enter me to win Love's Pursuit. It sounds like a great book to share with my book club! Thank you. Not too many book covers 'speak to me' but this one does. Please add me to your contest. Thank you. Siri Mitchell's historicals are really, really thought-provoking and educational. The reviews I've read on this are very interesting so I've looking forward to reading it. Please include me! This really does sound good. Thanks for such a thorough review--and you didn't give away any of the twists! Siri Mitchell is a really great author. Mimi, I enjoyed your review, and I've heard other wonderful things about this book as well, so please throw my hat in the ring. This book sounds fascinating to me....I have really never read a full length account of life as a Puritan. Please sign me up for the contest and thank-you for the possible opportunity of winning this interesting read. Cheryl won today's book. Thank you so much to everyone who visited my blog and entered to win!